So we decided of course, for starters ------> you just pinch yourself with excitement! This is my very own case of 'just pinch me'. 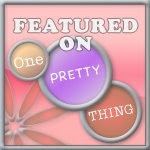 I was recently contacted by FaveCrafts to do a guest feature/tutorial on their craft website. 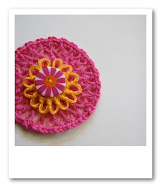 I got out my hairpin lace frame and decided to make a very simple rosette. I constructed a hairpin rosette. The complete feature/tutorial is here. .....and yes, I am still pinching myself. I was waiting for something new. I love it. I keep on waiting for your next creations. Hi from Spain. Dawn: Congratulations on the guest blog spo. Yeah, you!!!! 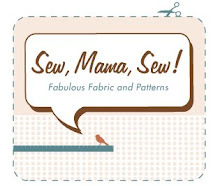 I, too, recently had a comment on my own blog from a nationally recognized quilter...made me giddy, too! Congrats on your blog achievement...your work is always beautiful..
How cool for you! And a great tutorial...really cute! I just love it! My favorite colors. Congrats! I love your photos. And your crochet, too! I had the "famous blogger" moment when someone famous actually linked to me. I was tickled! CONGRATULATIONS! You deserved to be featured. I love that hair clip -- do you by any chance sell them? I have not done hairpin lace in probably 35 years. My grandma taught me how to do it, but back then it was very fine and done with tatting thread. Very close work. I like your version much better. I am sure it is faster too. As always, your work is just beautiful. Congratulations! Those are adorable I'll have to go check it out. Hi, have a look to my blog, you will meet my first niece. Bye. I just love your work! You make it look so easy!! I'm having trouble ready crochet patterns so that's holding me back. I learned how to make a shell stitch afghan for a friend's baby buy watching a video. I would love to learn how to read patterns though. There are so many things to make, it's exciting! Slim Fire Garcinia – Garcinia Cambogia Hydroxycitric Acid? yippee. socks & a finish!